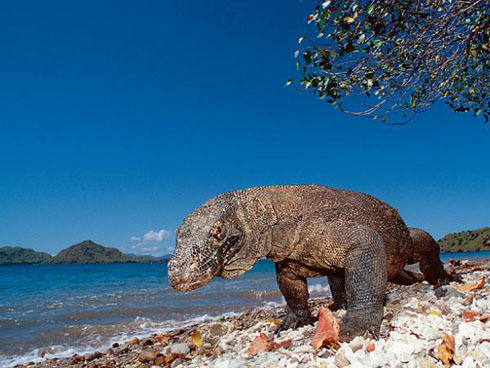 For those of you who have never been here, would ask, how to Komodo Island? Is there a Cheap hotel in the Komodo island? The journey to get to the island of Komodo, starting from Labuan Bajo which is the capital of NTT West Manggarai. Labuan Bajo can be accessed via Kupang and Bali. If you depart from Bali, you can use various modes of transportation, whether by land, air and sea. 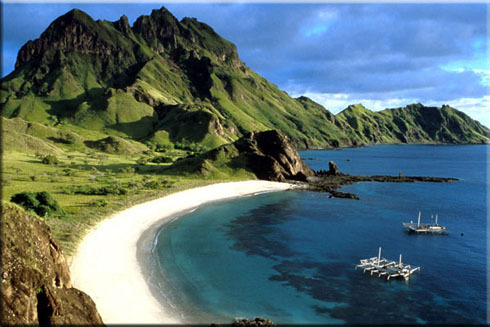 The fastest trip can be done using a plane from the Ngurah Rai Airport Denpasar to Labuan Bajo which takes about 1.5 hours. Well, from Labuan Bajo is, then you take the ship to go to Komodo Island a distance can be taken approximately 2-5 hours, depending on the type of boat you choose. Actually there are many hotels or lodging on the Komodo island that you will encounter, but if you are still having trouble here we provide some accommodation as a reference. Golo Hilltop is a small boutique hotel run by two women from the Netherlands that offers a fun family atmosphere. Hotel Deals in Komodo Island is located on a hill that provides panoramic views towards the sea. Each bungalow has its own balcony, so guests can relax in front of the bungalow while enjoying the beauty of the sea and exotic sunsets. There are 4 types of rooms are available, namely: Standard, Superior, Superior Plus, and Deluxe. For the Deluxe type, for example, is equipped with: air conditioning (AC), hot water, fan, shower, western-style toilet, as well as mosquito nets. Interestingly, here also comes with a restaurant that serves a variety of fish and chicken dishes that will make your taste buds craving. Hotels near the island of Komodo is a promising star luxury hotel Flores. Yes, 4 star hotel in Labuan Bajo has a vast land with a private beach dish that would make a great place to relax. There are 2 types of rooms to choose from, namely Deluxe rooms and Suite room. Deluxe rooms are located on floors 3 and 4, in which the facility is equipped with: air conditioning (AC), king-size bed, TV 21 ", tea / coffee, telephone, and safety deposit box. The facilities and other facilities can be enjoyed, such as: diving, dive shop, water sports, laundry, internet, coffee shop, shop, and meeting facilities. Komodo Island Accommodation is located on the beach which allows guests to see the view of Komodo Island restaurant and bar on the top floor is open. Very beautiful again when seen at sunset. They offer a variety of activities attractive tour packages, such as: diving, Komodo tour packages, river boat tours, travel Kalimutu, and so forth. They offer accommodation in the form of suites and double rooms. Provided ample room and comfort, where there is air conditioning and fans. Other facilities you can find, including: hot water, western style toilets, tables, chairs, telephones, tea / coffee, bottled water, and others. In addition, there are also other Komodo Island hotel that you can make an alternative, such as: Centro Bajo Hotel and restaurant, Jayakarta Suite Komodo Flores, Sea World Club Hotel, Green Hill Boutique Hotel, Puri Sari Beach Hotel, and many others.